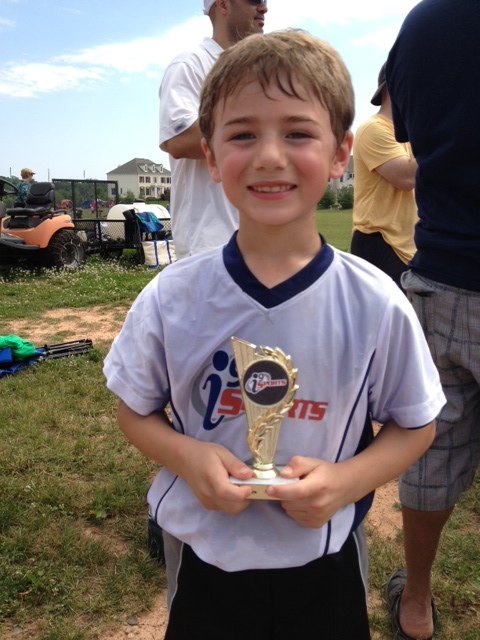 Thing 2’s team reached the Superbowl of flag football! Against a tough team they lost by a touchdown. But the kids were not too disappointed because it was a great season. This is the trophy you get for being runner up. It was a really hot day. And here is a video of Thing 2’s touchdown. With a little NFL film style editing.